American Craftsman Renovations offers historic downtown Savannah homeowners with professional kitchen remodeling and renovation services. Historic properties require special attention to detail and knowledge of historic structures. We can renovate or remodel your kitchen, helping you create the kitchen of your dreams. From minor enhancements to create a fresh look to totally remodeling your space, with new custom cabinetry and countertops, we are the trusted choice in historic Savannah. Historic property owners in Downtown Savannah rely on American Craftsman Renovations for the kitchen remodeling and renovation needs. We will work with you one on one throughout the entire project to ensure that we identify all your needs so that our final project accomplishes your goals. 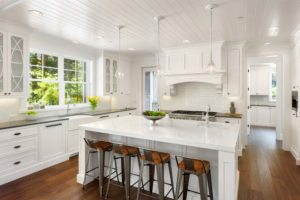 Getting your kitchen remodeled or renovated is as easy as making a phone call to American Craftsman Renovations today; we look forward to working with you.